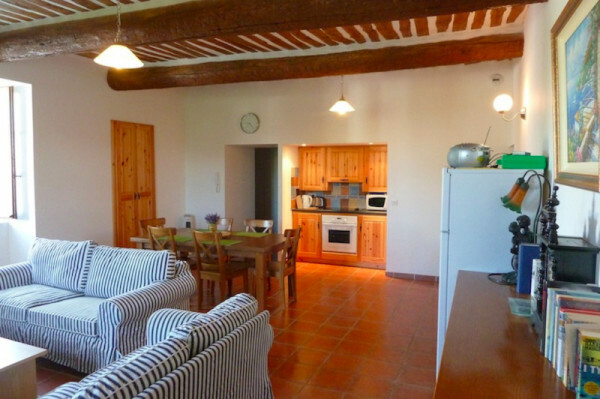 One of six holiday apartments at La Bastide des Lavandieres. 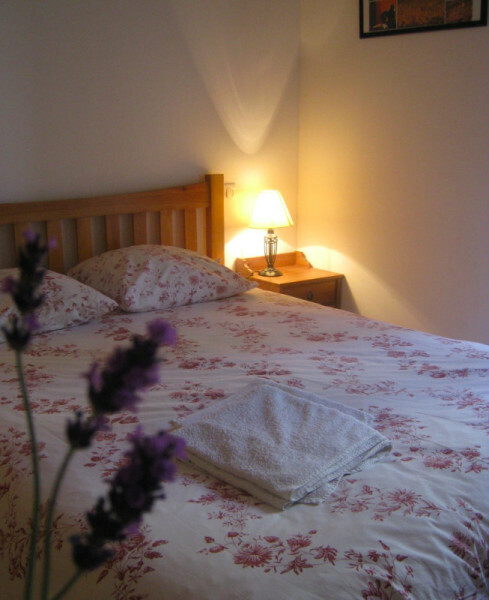 This is a large ground floor two bedroom apartment - sleeping up to 7 people. Bedrooms: 1 Double Bedroom, 1 Twin Bedroom. Also full size comfortable sofa bed in the living room. Bathrooms: 2 Shower rooms en-suite, 1 Separate WC. Kitchen: Oven, Hob, Microwave, Fridge-Freezer, Dishwasher, Toaster, Kettle, Coffee maker, Washing machine. 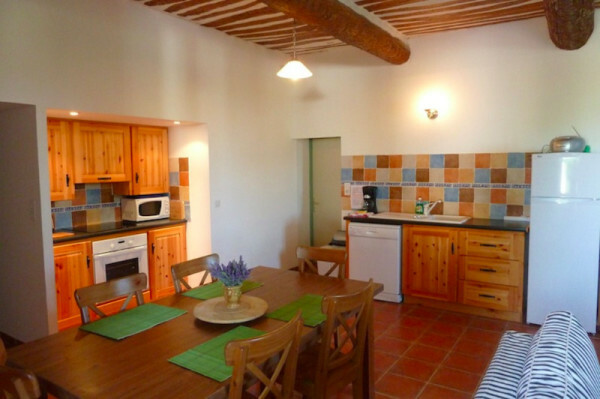 Apartment Cerise has a large terrace with built in barbecue. This terrace has a removable gate so if necessary it can be gated to provide a safe private play area for young children. High chairs , cots plus various other baby and child equipment available if requested. Central Heating. Air-conditioning is not required as the walls are solid stone & aprox. 1 metre thick. Because of this the building stays cool in Summer & remains warm in the Winter. Outside we have a large 12m x 6m swimming pool with a shallow kids area, inflatable pool toys , sun loungers, tables, chairs & parasols. 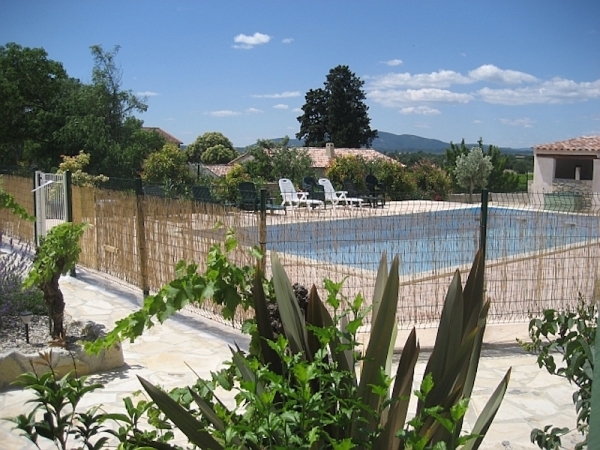 The pool area is fully fenced & gated to ensure child safety at all times. Our pool is open from early May until mid October. There is also a pool house with loungers , comfortable seating and games.